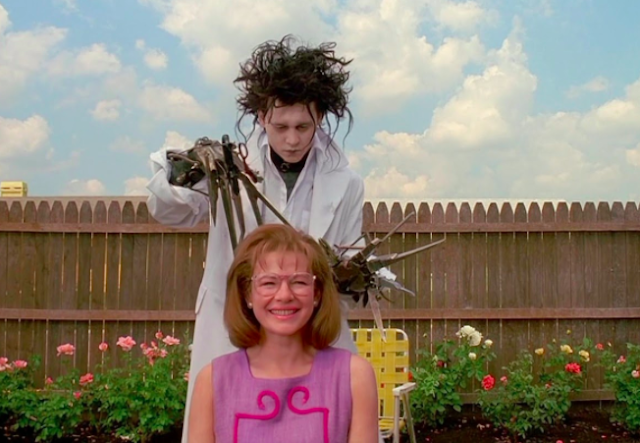 Edward Scissorhands (Tim Burton, 1990) - When a suburban saleswoman Peg (Dianne Wiest) discovers Edward, a shy but strange man with scissors for hands, she decides takes him home to live with her family. Welcomed by the community, Edward soon falls for Peg's teen daughter (Winona Ryder) and begins making friends. However, despite his kindness and artistic talent, Edward's hands make him an outcast in the seemingly idyllic neighbourhood. I hadn't actually seen this for years but having re-watched it recently, I just loved it. In true Burton style, this modern-day fairytale is as sharp as it is beautiful. Naturally, it is stunningly shot - with imaginative set design and eccentric characters. The real joys, however, are the performances; particularly from Depp and Ryder who add to the beautifully tragic yet darkly funny narrative. Fargo (Joel and Ethan Coen, 1996) - Set in a small town in Minnesota in 1987, Jerry Lundegaard (William H. Macy) is a down-on-his-luck car salesman. Having gotten himself into serious debt, he hires two thugs (Steve Buscemi), (Peter Stormare) to kidnap his own wife hoping to seek the benefits from the ransom from his wealthy father-in-law. However, the scheme soon collapses when the thugs shoot a state trooper. For me, Fargo is easily one of the greatest Coen Brothers' films to date. Frances McDormand truly is incredible and so rightly earned her an Academy Award for her performance. As always, the Coen's showcase their amazing ability to use gallows humour within a dark narrative, producing a totally unexpected and beautiful film. The Shining (Stanley Kubrick, 1980) - Having taken a winter caretaker job at the isolated Overlook Hotel, Jack Torrance (Jack Nicholson) uses the time to write his novel. However, having taken along with his wife, Wendy (Shelley Duvall), and son, Danny (Danny Lloyd), Jack soon begins a decent into homicidal feelings from which he becomes hell-bent on terrorising his family. Arguably Kubrick's greatest triumph, The Shining is a stunning piece of filmmaking which also showcases a legendary performance by Nicholson. Featuring some truly shocking and confusing scenes, it has inspired countless fan theories regarding the inner workings of Kubrick's mind - including the Moon Landings. If you haven't seen it already, you're no film fan. 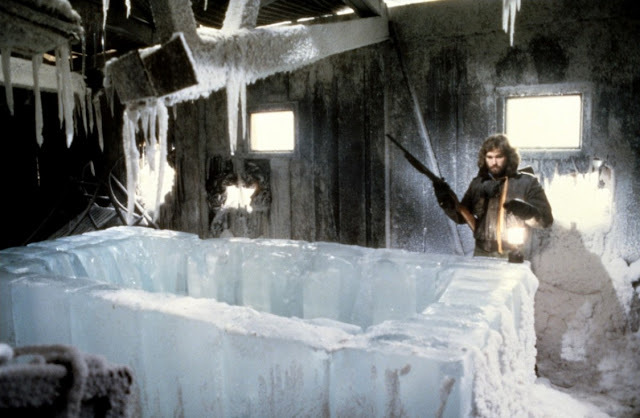 The Thing (John Carpenter, 1982) - Set in a remote scientific facility in Antarctica, a group of American research scientists are disturbed when one of their sled dogs turns violently aggressive. Having examined the animal, the group soon discover that another life-form is possessing it and the 'virus' soon begins spreading to humans; taking on the shape of it's victims. Realising the species if picking off the team one by one, a helicopter pilot (Kurt Russell) and a doctor, fight to escape the deadly parasite in this iconic, utterly mad body horror. Personally, I believe The Thing to be Carpenter's finest hour. It truly leads the way on body-horror and shows no shame in breaking all the rules of filmmaking. Whilst the special effects have aged over the years, it still remains as mesmerising and we have yet to see anything like it since. Not to mention a badass performance by Russell. The Hateful Eight (Quentin Tarantino, 2015) - In the dead of a Wyoming winter, a bounty hunter, John "The Hangman" Ruth (Kurt Russell) and his prisoner, Daisy (Jennifer Jason Leigh) find shelter from a blizzard. 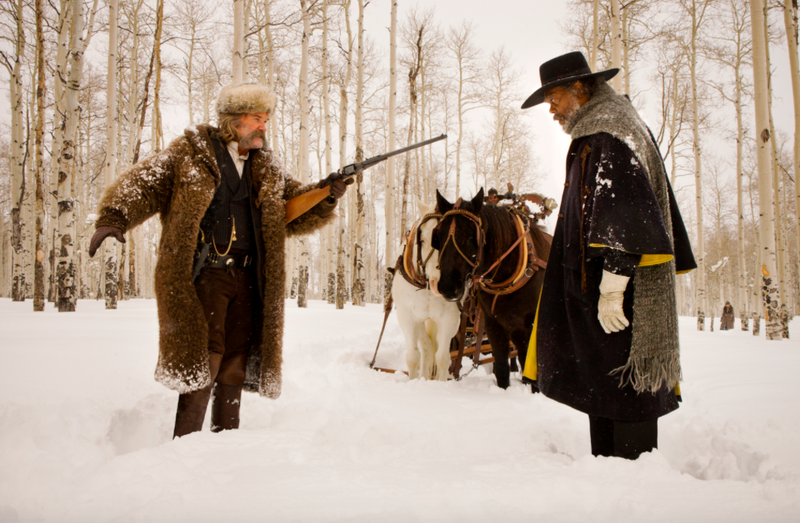 The cabin is inhabited by a collection of nefarious characters including a fellow bounty hunter (Samuel L. Jackson) and a man who claims to be a sheriff. Greeted by four other strangers, and with a high bounty on Daisy's head, the eight travellers soon learn that they may not make it to their destination alive. Whilst a western is far different from any genre he's explored previously, The Hateful Eight is pure Tarantino - through and through. Jam-packed with an all star cast (some familiar and some new), it makes for an all guns-blazing, thrilling addition to Tarantino's budding CV. The Revenant (Alejandro González Iñárritu, 2015) - In 1823, legendary fur trapper, Hugh Glass (Leonardo DiCaprio), aids an expedition in the uncharted American wilderness. Having survived a vicious bear attack, Glass is abandoned by his hunting team and believed dead. Broken but fuelled by vengeance, he treks through the wintry, harsh terrain trailing John Fitzgerald (Tom Hardy), the former confidant who betrayed him. 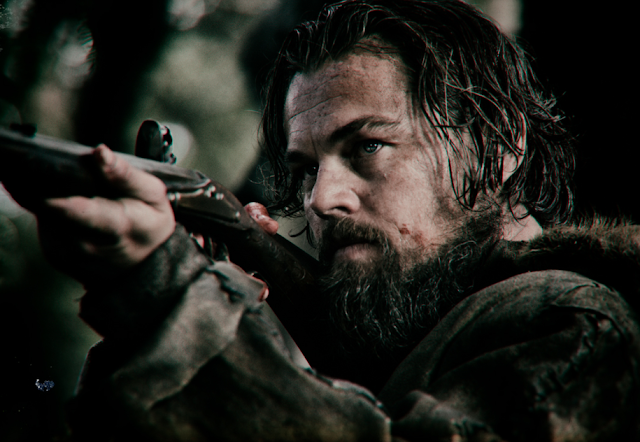 The Revenant is beautiful but the cast are what makes it truly believable and hard-hitting. Criticised for being style over substance, I do not believe that a narrative has to be overly complicated in order to be a good one. True, it is a story of a man looking for redemption whilst battling the terrain, but it's the journey which makes it truly spectacular. Though not entirely without its flaws (being nearly 3 hours long it did feel it could lose perhaps lose fifteen minutes or so from the running time), it had to be on the Top end of my list. Read my full review here. 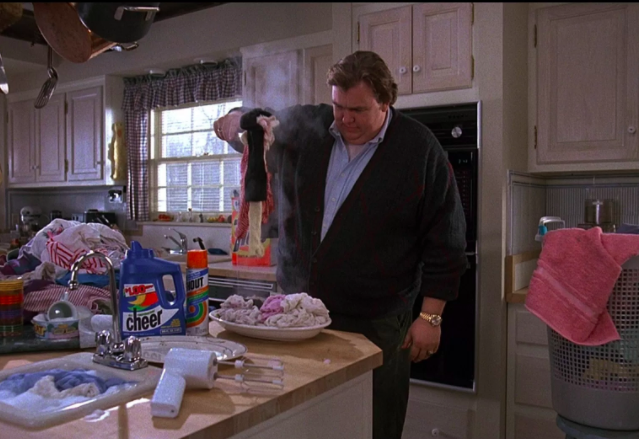 Uncle Buck (John Hughes, 1989) - When their parents have to leave town for a family emergency, three kids - snotty teen Tia (Jean Louisa Kelly), sister Maizy (Gaby Hoffman) and brother Miles (Macaulay Culkin)  are left in the care of their Uncle Buck (John Candy); a 40-year-old man who hasn't quite yet got his life together. Possibly one of the most underrated family films, Uncle Buck is one of Candy's and Hughes' most hilarious and finest films. Whilst at it's centre, it is very much a comedy, the film also has a whole lot of heart - meaning there is more than enough for everyone to enjoy. With some fantastic one liners and comedic scenes, Uncle Buck makes for the perfect Sunday morning film. 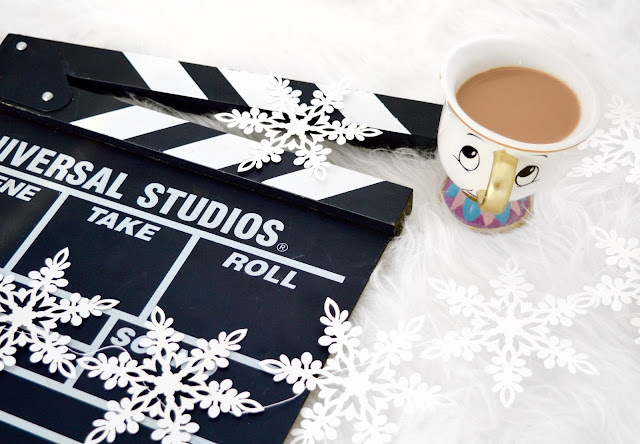 Well, that's it for my favourite winter themed films. But tell me, what are some of your favourites? Those are some really good winter-themed selections! I've never seen Uncle Buck although one of my fav movies is Planes, Trains, and Automobiles with John Candy and Steve Martin. That one also works as a winter-themed movie as there is plenty of snow. Since you have The Shining up there, another good winter one/Stephen King theme would be Misery with an amazing performance by Kathy Bates. I don't know if you ever watch University Challenge but on yesterday's episode there was a question asking what studio did the movie. They showed a picture of Peter Cushing and I believe it was Christopher Lee hanging from the ceiling. One team guessed MGM and the other guessed Warner Brothers. Apparently Hammer Films has been forgotten by the younger generation. If you would like to see this, Sophie, you can see it on iPlayer (the latest episode) a little after the 21 minute mark. Anyway, I hope you are having a cozy and lovely holiday season! 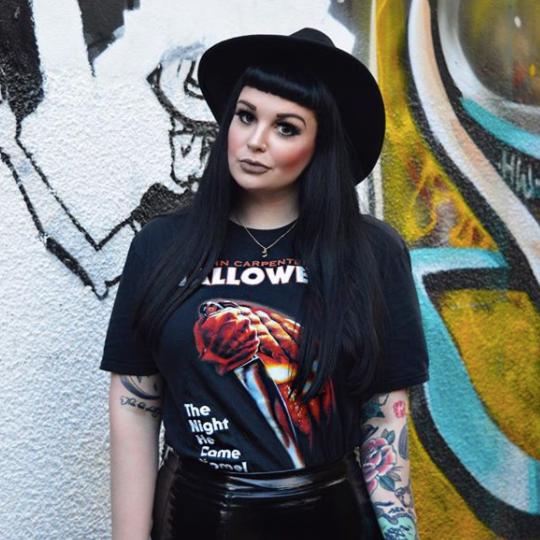 Aw yes, Misery is a great one! I did think about Planes, Trains and Automobiles but I wondered if that was more of a holiday season film as opposed to just wintery. Excellent films though! Great choices! 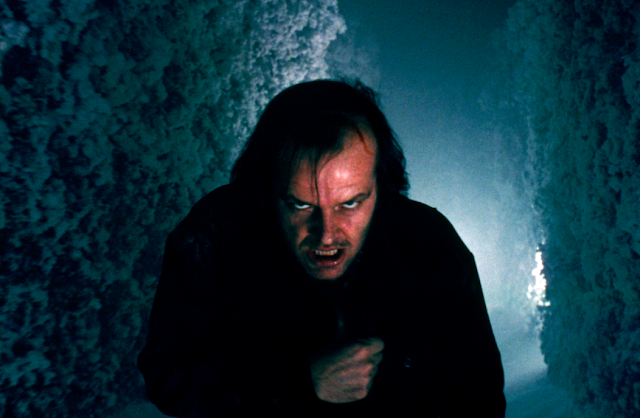 The Shining is one of my favourite movies and I always watch it with my dad every Winter season.